BRUSSELS, Kingdom of Belgium, November 7, 2013/African Press Organization (APO)/ -- Mr Andris Piebalgs, the European Commissioner for Development, on a visit to Chad today, is to announce support for the country from the European Union totalling EUR 442 million for the 2014-20 period under the 11th European Development Fund (EDF). With this support, the European Union will assist this country in the Sahel in reforms concerning food and nutritional security, the rule of law and sustainable management of resources. These priorities have been drawn up in full accordance with the National Development Plan. On this his first visit to Chad, Commissioner Piebalgs is to meet the President and Head of State, Idriss Deby Itno, to discuss the national and regional challenges faced by the country, including the need to reduce the number of children suffering from malnutrition. Their talks will also concern the Global Alliance for Resilience Initiative (AGIR), a policy to help vulnerable communities in the Sahel and, consequently, Chad to reduce the impact of future crises and catastrophes. The Commissioner will also announce funding of EUR 8 million through the Global Climate Change Alliance (GCCA) to support the country's efforts to adapt to and mitigate the challenges raised by climate change. By these measures, the EU aims to improve the living conditions and resilience of some 2 million people living in the Sahel regions of Chad. Commissioner Piebalgs will be accompanied by the European Union's Special Representative for the Sahel, Michel Reveyrand-de Menthon, as part of a joint visit to the Sahel region, culminating this evening in Chad, with the Secretary-General of the United Nations, Ban Ki-moon, the Chairperson of the African Union Commission, Nkosazana Dlamini Zuma, the President of the World Bank, Jim Yong Kim, and the President of the African Development Bank, Donald Kaberuka. The visit follows on from the announcement by the EU of a total aid package of EUR 5 billion for the Sahel region for the 2014-20 period, which will benefit Chad, as well as Mali, Niger, Burkina Faso, Senegal and Mauritania. Chad is still one of the poorest countries in the world with a fairly small population of 11.8 million, but is experiencing rapid demographic growth (3.6% a year). Progress in meeting the Millennium Development Goals (MDG) has been very limited, except for access to drinking water, which has more than doubled in the past ten years (to 46% in 2011 from 21% in 2000). However, in 2009 45% of the population was still living below the absolute poverty line (less than US$1 per day) and the rates of child malnutrition remain alarming (30% are underweight and 39% suffer stunted growth). Investing a total of more than EUR 400 million in development schemes (of which EUR 368 million under the 10th EDF, 2008-2013), the EU is Chad's leading aid donor. The focal sectors for this period are (i) good governance at both central and local government levels, and (ii) sustainable development: infrastructure and the rural sector. to asphalt 839 km of roads. After thorough consultation with the authorities of the countries concerned, in March 2011 the European Union adopted a Strategy for Security and Development in the Sahel. This strategy is based on recognition of the regional nature of the crisis and the indissoluble link between security and development. It has made it possible to consolidate a common European position on the regional crisis and to mobilise significant financial resources for security and development projects. 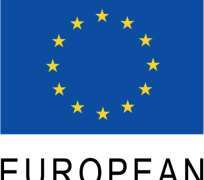 At present, the EU is determined to pursue the implementation of this strategy and to extend its scope to Burkina Faso and Chad.